Pickling Process is a metal surface treatment used to remove impurities, such as stains, inorganic contaminants, rust or scale from ferrous metals, copper, and aluminum alloys. A solution called Pickling, which contains strong acids, is used to remove the surface impurities. It is commonly used to descale or clean steel in various steelmaking processes. 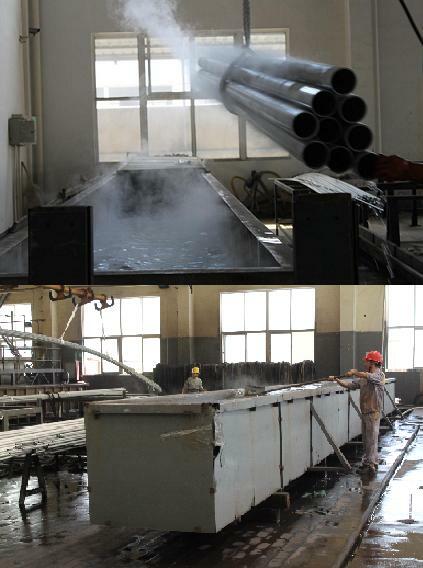 After Pickling, LSI need to use high pressure water jet to clean the inside and outside of the tubes and make sure there is no stains, inorganic contaminants, rust or scale.